This past weekend I made a snafu in my weekly menu planning – I accidentally planned one less meal than I needed. Which isn’t a huge deal, but I generally get all my recipe ingredients once per week. This was a recipe that randomly showed up in my inbox this week from Cooking Light and looked tasty, so I picked up the ingredients on the way home from work. 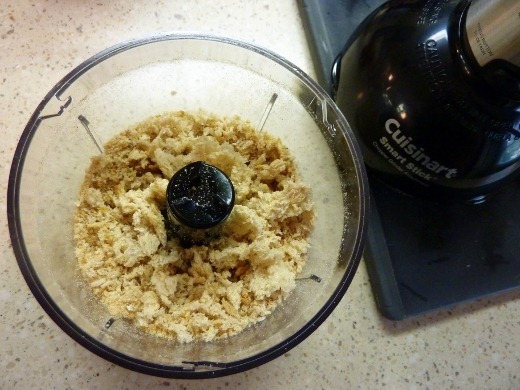 The first step was to make breadcrumbs. I keep a loaf of bread in my freezer for such occasions. Did you know bread freezes very well? 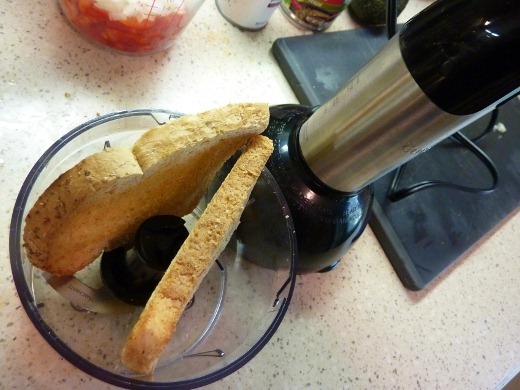 I don’t eat a whole lot of bread so it’s much more cost-effective and waste-minimizing for me to store it in the freezer, and pop a couple pieces in the toaster when I want a sandwich… or, need breadcrumbs. I used the mini food processor attachment on my immersion blender to grind these suckahs. Worked like a charm. 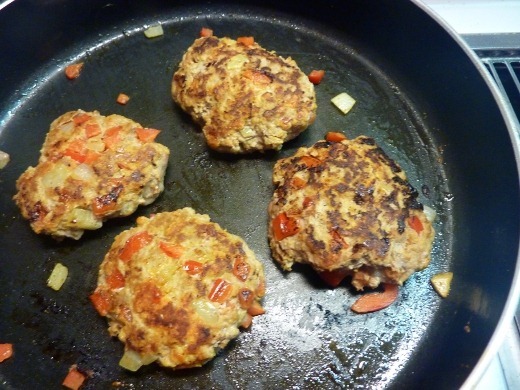 The next step was the prepare the burger patties, using the above bread crumbs, sautéed bell pepper and onion, fajita seasoning, tomato paste, one egg white, and lean ground turkey. The recipe suggests making four burgers, but I actually made seven out of the pound of turkey because I thought the patties were too big! These cooked nicely in a skillet on my stovetop. 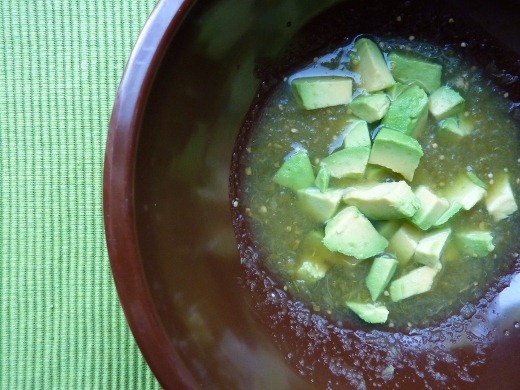 Salsa verde and chopped avocado made for a delicious topping. 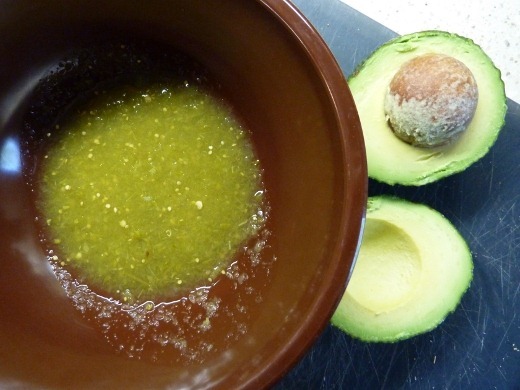 Add cilantro if you are a fan and have it on hand. 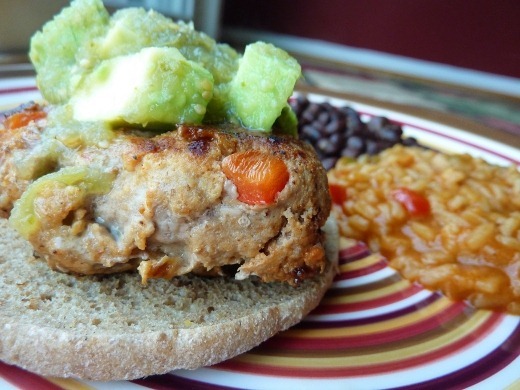 I served these turkey burgers open face, atop a low calorie whole wheat bun. The bun was totally unnecessary – honestly I wouldn’t bother with it. So delicious! 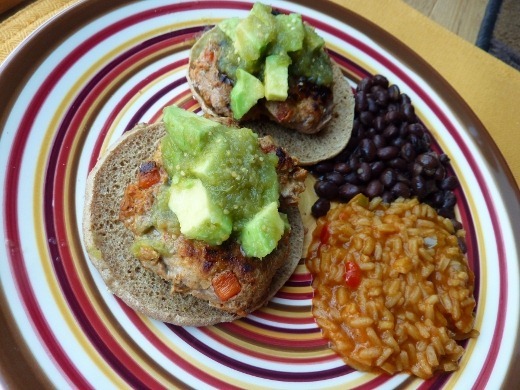 Love these Fajita Turkey Burgers. Currently listening to: Written in Blood – She Wants Revenge. Pingback: Corn, Black Bean, + Avocado Salad « Meg.Goes.Nom.Nom. Pingback: Meal Planning for the Week of January 19-25 « Meg.Goes.Nom.Nom. 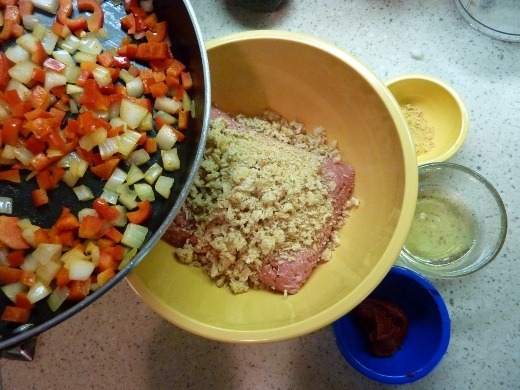 Pingback: Meal Planning for the Week of January 26-February 1 « Meg.Goes.Nom.Nom.